The Escarpe is as big and bold a trail bike as they come, boasting MBR's 2018 Trail Bike Of the Year status due to its superb build and componentry. This latest 29er in the range is fully equipped to maintain that reputation for years to come. Built with superbly low, slack and long geometry, the Escarpe 29 VRX lets you ride with fun, excitement and poise with its full suspension setup allowing you to go for it as aggressively as you wish. Soaking up every morsel of impact is a Fox Factory fork and shock combo with 150mm of front travel, while the Shimano XT 1x11 drivetrain powers you on and the SRAM Guide RE disc brakes rein you back in. Rolling on a "Boost"-sized, tubeless ready wheelset and wide Maxxis 3CWT tyres, no terrain is off limits to this marvellous mountain bike. 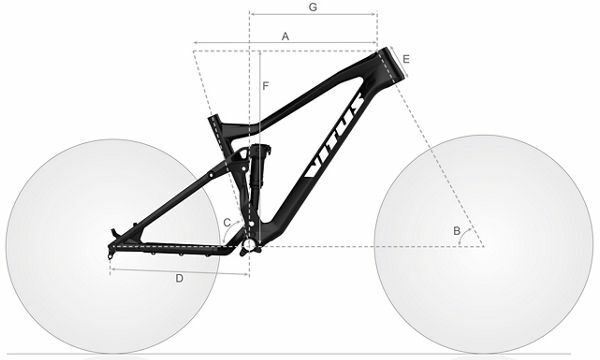 Another superb offering from Vitus, this truly is a full suspension superstar. Please can you tell me the weight of a size XL?